Don't you all love the feeling when you buy something with little expectations and then its performance just blows your mind. Starting with this post, I will share with you that kind of purchases. 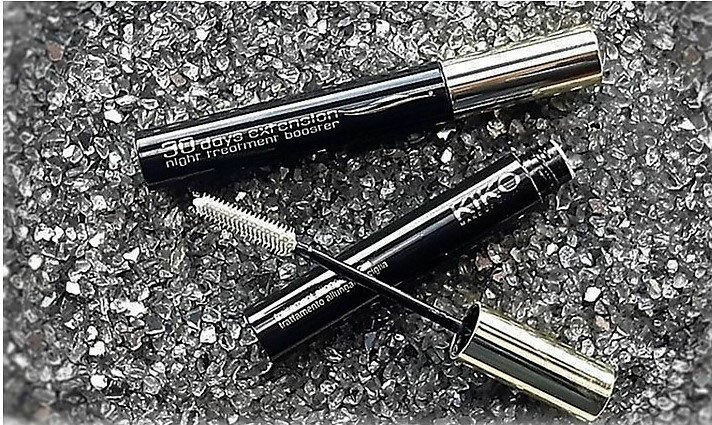 With my passion for makeup and all things beauty, most buys will probably be beauty related, like today's one is KIKO Milano's 30 Days Extension - Night Treatment Booster. I bought the lash booster over a month ago, not that my lashes are super short, but there is always room for improvement. The price tag was under 8 € which certainly benefited my decision to give it a try. 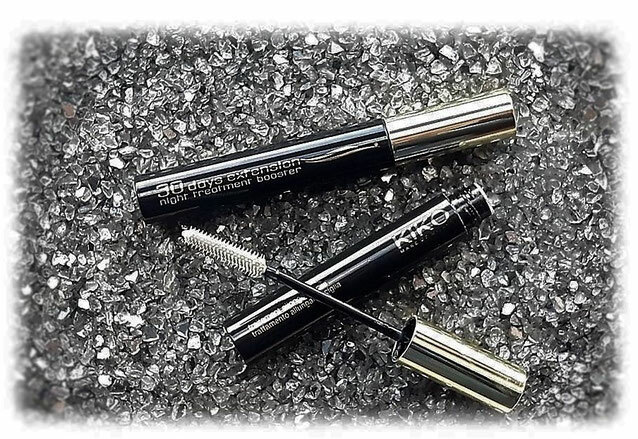 KIKO Milano claims it makes your lashes grow about 169% in 30 days. Okay, I don't know if my lashes have been growing 169%, they were on the longer side to begin with, but they got visibly longer and thicker after approximately one week. After this surprisingly quick positive outcome, I thought "Maybe it will make my sparse eyebrows grow, too." To my surprise, it not only made my brows thicker, it also darkened them. I am still far away from a bold natural eyebrow. However, the added thickness but especially the slightly darker brow hairs make filling in my eyebrows so much easier and quicker. To speed up the already good results, I started to apply the booster daily and nightly. No, my lashes and eyebrows didn't grow even faster. Nonetheless, I discovered that applying the treatment in the morning, before doing my makeup, is enhancing my mascara and brow product application. My lashes hold the curl longer, and my eyebrows get a nice texture which makes them appear more natural. 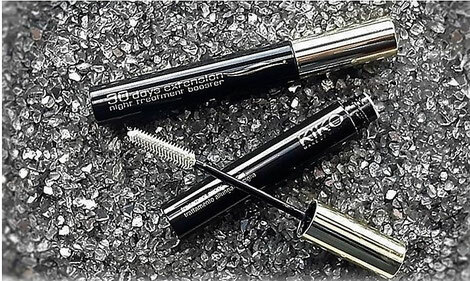 So if you are on the hunt for an affordable lash grow serum that works, I highly recommend KIKO Milano's 30 Days Extension - Night Treatment Booster. Will you give it a try? Werde ich auch ausprobieren. Berichte dann. I, too, have it. I like very much. But I not know for using on eyebrows. Thanks for tip! Ich habe den Night Treatmeat Booster getestet. Ich kann sagen, es funktoniert.